1 obijime : satin ; 48 x 1.5 (circumference) in. 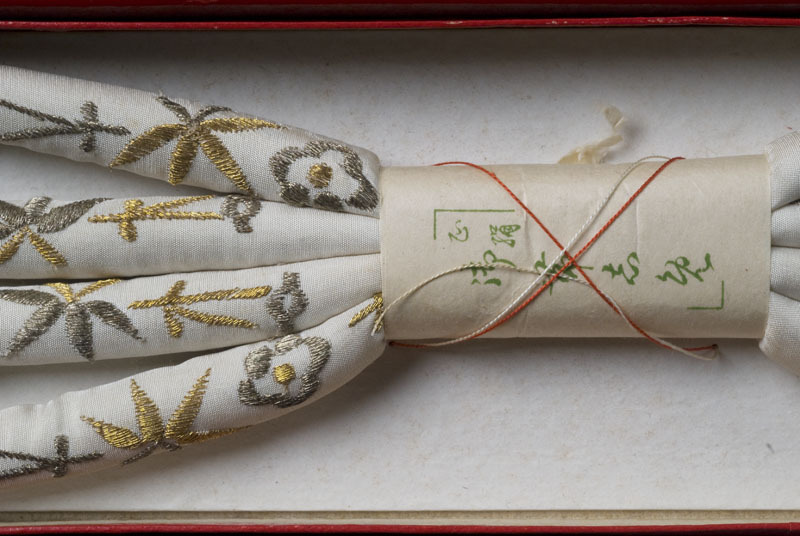 Off-white satin stuffed obijime (obi cord) with silver and gold embroidered shochikubai motif of plum blossom, bamboo leaves, and pine. Tassels on ends (0.75 in.) Cord is sewn onto a cardboard backing and placed in a box. 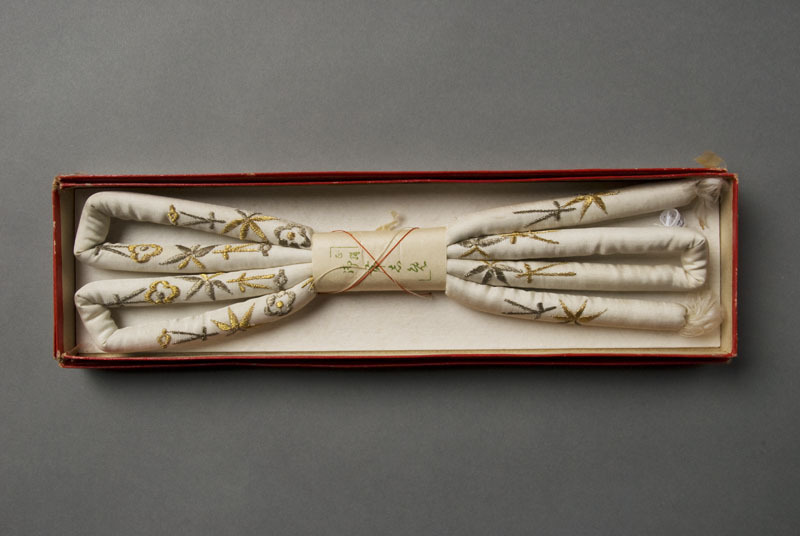 Obijime is a cord tied at the front of the obi that complements obi and kimono.